Nothing speaks more to the notion of serenity and quaintness than rural Europe. Think Lord of the Rings-style English villages, with relics dating back to a pre-industrial age, thatched-roof cottages, windmills, and market squares. Yes, these places still do exist, and they are what give modern Europe its rustic charm. 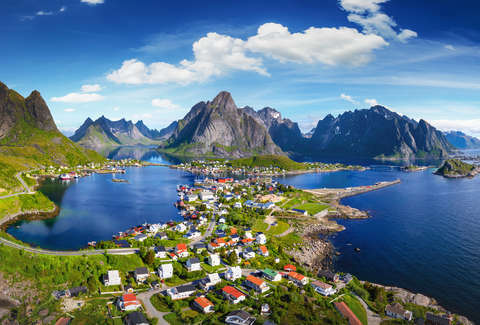 And what’s more, Europe’s rich cultural diversity provides the modern traveler with a veritable mix of locations and cultures to select from -- all replete with forts, castles, and local delicacies. Here are 15 of the most picturesque villages that are worth going out of your way to visit when you’re in Europe. Or maybe you should just quit your job, go and never come back. Just promise to send us a postcard? You’ll be hard-pressed to find a more picturesque setting than Bled, in Northern Slovenia near the border with Austria. It’s picture perfect in every sense. The Julian Alps dominate the background, while in the foreground, a 17th-century Baroque church sits on a remote island, adrift in the middle of a glacial lake. It’s the stuff of fairytales. With waterfalls, castles, and remote caves all within the area, it makes for a vivid and character-filled landscape. Pro tip: Nothing beats Tito’s Tearoom, with its perfect viewing spot out over the wondrous lake. Sitting on the edge of the Harz Mountains about 130 miles from Berlin, this medieval village was founded as far back at the 9th century. The gothic-style architecture, narrow-cobbled lanes, castle, and steam train all speak to the town’s historical charm. It’s the perfect spot to engage in a series of hiking trails that litter the Harz region, all accessible with the narrow-gauge railway, which itself dates back to the 1890s. The Harz region is steeped in folklore and provided the source material for many of the Brothers Grimm fables. 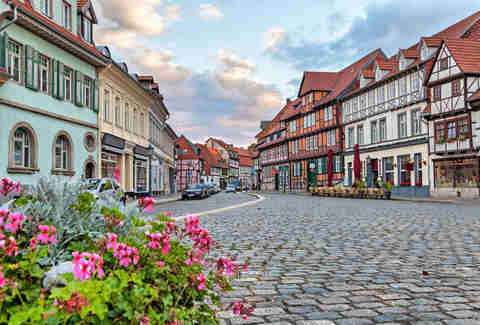 If you’re in the region then it’s also recommended to visit the nearby town of Wernigerode, which is home to a stupendous medieval castle. Pro tip: Brauhaus Lüdde is a must-visit in Quedlinburg. Dating back to the early 1800s, this restaurant is home to excellent home-brewed beers along with typical German meat platters. It is the best place to visit after a day of wandering. If you only get to visit one Alpine village in your lifetime, then I pity you. 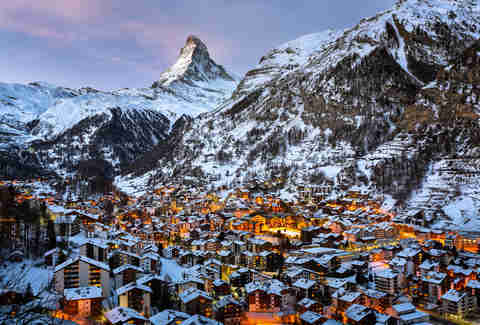 But, should that choice arise, then make it Zermatt. With the Matterhorn bearing ominously down on it, this tiny Swiss village near the Italian border has the lush surroundings and bespoke wooden chalets befitting any stereotypical Alpine cliché. Combustion engines are forbidden on its tiny streets, and only silent, electric cars can be seen (not heard) bumbling between one chalet and the next. Pro tip: Bring money, you’ll need it. France has an association that promotes and lists its finest and most beautiful villages, called Les Plus Beaux Villages de France. All 155 locations must have fewer than 2,000 inhabitants and at least two national heritage sites. 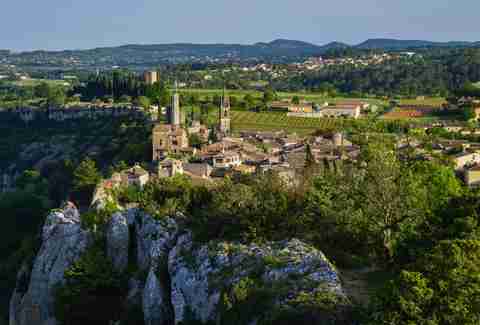 One of the finest on this list is the medieval village of Aiguèze, which looks over the spectacular Ardèche gorge. Surrounded by vineyards, the quaint retreat in the south of France comes with Romanesque churches, Renaissance art, and a 100-year-old suspension bridge. The surrounding fields are abundant with fresh lavender, with its purple wildflower spreading out for miles into the horizon. Pro tip: This one comes from my cycling-obsessed mother -- take a bike and head down the “Lavender Route” to Sault, about a day-long ride away, which has stunning views over precarious cliff-faces. This English village epitomized the pomp of pre-Dickensian affluence. So much so, it’s been the go-to filming location for many period dramas, such as Downton Abbey, Pride & Prejudice, and several Harry Potter films. The 13th-century Abbey takes precedence in this pastoral and very British country village that rests just 100 miles outside of London. But by wandering further off-piste, there are also various chapels and churches to explore -- along with the good old British countryside. Pro tip: Grab a pint in The Red Lion. It has a serious selection of ales. 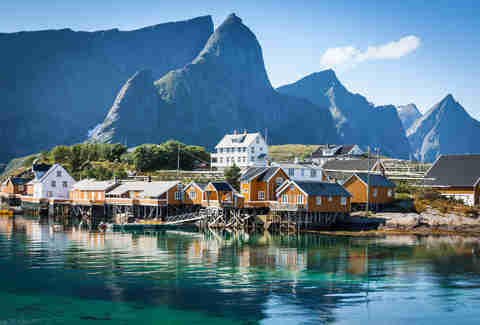 Situated on the Lofoten archipelago just north of the Arctic Circle, this former Viking village -- with its delightful fishing huts and wondrous mountains that surround the island chain -- is a sight to behold. Between September and April, you can also watch the phenomenal aurora borealis as they paint the temperate northern sky. Hiking and kayaking options abound here involve wildlife galore -- especially whale watching. And if you haven’t, try some whale. But just the once. Whales are badass. It’s just a shame they also taste so good. Pro tip: Sailing from Tromø -- just north of Reine -- will take you to the Vulkana, a converted whaling boat, now doubling up as an out-to-sea sauna and restaurant. You can Jacuzzi in sub-zero temperatures, dive into the Arctic waters, and dine on some of the best seafood in the world. In The Talented Mr. Ripley, Matt Damon travels to Procida, the idyllic island resort just off the coast of Naples. Here he obsesses over Jude Law’s exquisite life and goes all out to ensure he can snag it. 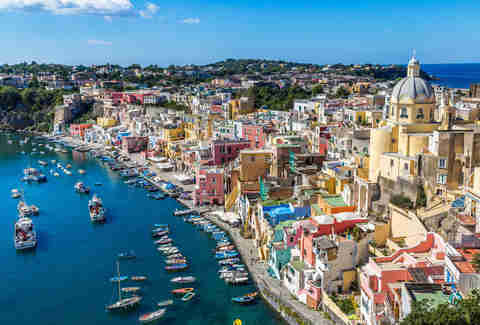 But with Procida’s exquisite beauty, with its smooth beaches, forts, abbeys, and picturesque harborfront, how far would you go to stay there? Pro tip: Hire a scooter to explore the island Italian-style. But seriously, you don’t need to kill anyone to live well here. 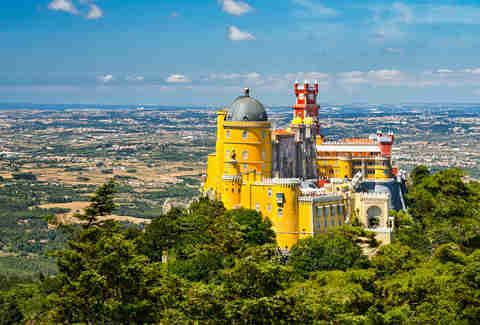 This Portuguese UNESCO World Heritage Site -- just one hour out of Lisbon -- is replete with stunning palaces, Baroque municipal buildings, and castles. Sintra is a colorful and wonderfully intimate retreat, where the warm Atlantic air starts to cool as it gently climbs the mountains in Natural Park, creating this fresh, yet moist, cool air. It’s great for hiking, and the food is outstanding. Pro tip: Stay at the Almaa Sintra Hostel. It’s a converted farm building that offers yoga and cooking classes, with a huge, colorful garden supplying many of your breakfast goods. With a Romanesque cathedral, tiny Venetian streets, and medieval town and harbor, you might mistake the small Croatian town for a setting from Game of Thrones. 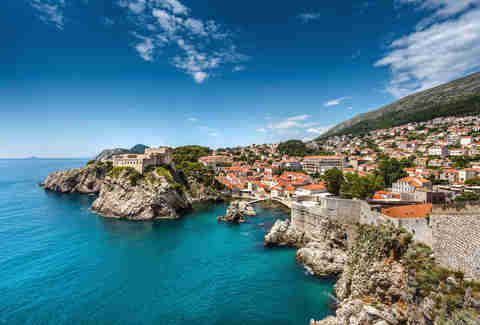 Which wouldn’t be too far from the truth, as the show is filmed two hours down Croatia’s Adriatic coast in Dubrovnik. It’s one of Croatia’s few hideaways, with most tourists flocking to the larger port towns, such as Hvar. In Korčula, you can eat at family-owned restaurants, and generally get the run of the town. It was also the supposed birthplace of legendary globetrotter Marco Polo. Pro tip: Go to Dubrovnik too. It can be a bit touristy at times, but its beauty knows no bounds. That there are even two German villages on the list is a testament to the rustic charm of this country’s smaller conurbations. Bickensohl sits in the south of the Kaiserstuhl -- a range of hills that make up part of Southern Germany’s Baden-Württemberg district. Located in a valley surrounded by vineyards that produce its famed grauburgunder varietal, Bickensohl has it all: stunning views, landscapes, and an abundance of wildlife. 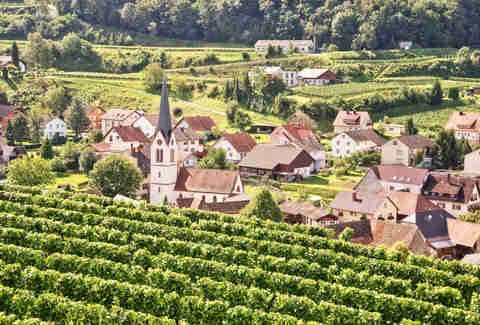 With a 600-year-old church that dominates that skyline, and a wide variety of wine to sample in -- and around -- the village, Bickensohl is a hidden gem in Germany’s foresty Rhine region. Pro tip: Seriously, drink the wine. Pre-bottled German grauburgunder tastes as if it’s come straight from the ground, been filtered by angels, and harvested by the Lord himself . Just 15 minutes off the Andalucían coast sits this off-the-road, pastoral hideaway, characterized by its white buildings, multi-leveled street system, and winding passages. At times, Vejer de la Frontera can feel more like rabbit warren -- or a Moroccan medina, filled with Islamic artwork and Moorish architecture. It’s secluded and quiet at the best of times, typifying Moorish influence in Europe. Pro tip: If you get tired of tapas, try out El Jardin del Califa, which specializes in North African and Middle Eastern cuisine. This Austrian village is so beautiful that the Chinese went ahead and built a full-scale replica of it that lives in the province of Guangdong -- though the duplicate version is missing the amazing surroundings of the original. Situated on a small inlet between a small lake and an Alpine mountain range, Hallstatt is considered to be the oldest inhabited village in Europe. It is also home to the first-ever salt mines, which lay the foundation for the village’s affluence. Pro tip: This could be the best place for hiking in all of Europe, so bring your boots. 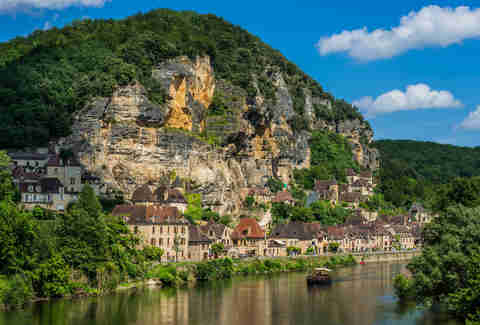 Another on France’s “most beautiful villages” list, the French village of La Roque-Gageac is actually built into the rock face of the mountain alongside the Dordogne river. With the smell of jasmine and honeysuckle in the air, dream-like cafes, heavenly wine, exotic gardens, and a Renaissance manor, it seems more like the setting for a Jean-Pierre Jeunet movie than it does reality. Pro tip: Go explore the abandoned houses built into the rock face at the top of the village that have been taken over by nature. Sitting out on the Scottish East Hebrides, the Isle of Skye is resplendent with exotic wildlife -- eagles, deer, and Atlantic salmon -- jagged rock formations, lochs, and stunning landscapes. Remember that opening scene in Ridley Scott’s Prometheus (arguably the only good thing about that movie, but I digress)? Well, that’s here. 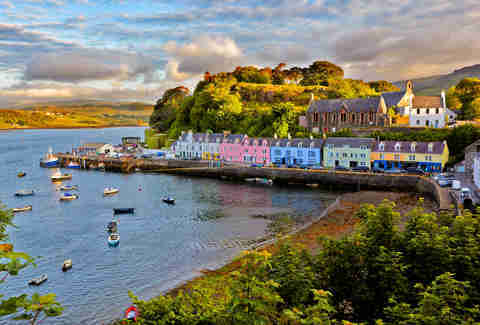 The harborside village of Portree is the perfect launch pad to explore the island, as it looks one way out to sea, the other to the nearby hills. Pro tip: The Isle of Skye is home to Talisker whiskey, one of Scotland’s finest single malts. A trip ‘round the waterfront distillery has to be on your to-do list. 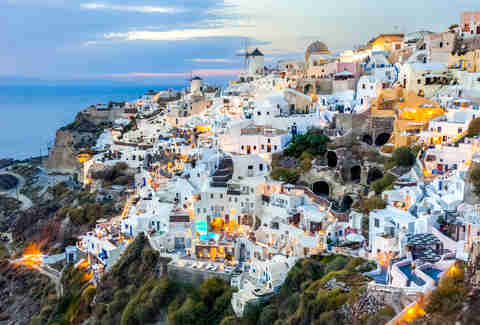 Perched on the island community of Santorini and built atop a caldera (collapsed volcanic ridge), this old sea port -- with its narrow lanes and white, sea-washed huts -- offers amazing sunset views and picturesque scenery. Its lush architecture and dramatic setting over the Aegean Sea make this a thing of dreams. Pro tip: The island was the setting for the opening scenes in Lara Croft Tomb Raider: The Cradle of Life, but that still doesn’t salvage the film.